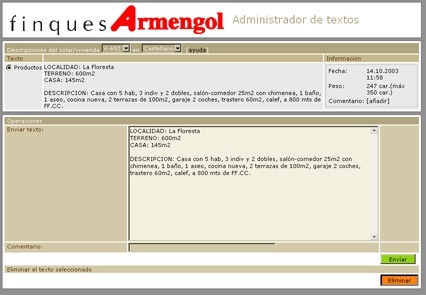 In 2002 I created this database driven Flash web site, which is now offline. I was very proud of this site because the interface was only 28 Kb. People often critisized Flash because sites were heavy, but heavy sites were created by developers who embedded megabytes of images and sounds into each project. 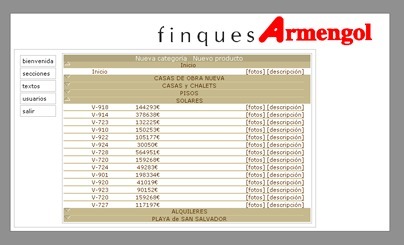 As this project showed, it was possible to make a Flash site that loaded much faster than an HTML site. Even with a modem (they were still used at that time) it loaded in seconds. I created this project for Global Red, and the whole concept, design, programming and back end was my work. 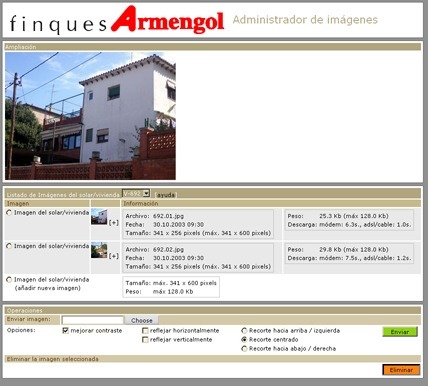 The final client was Finques Armengol, a real state company that sold properties.